The president of the Saint John chapter of the Bacchus Motorcycle Club has been charged with second-degree murder after a man was gunned down near the clubhouse on Saturday night. The president of the Saint John chapter of the Bacchus Motorcycle Club has been charged with second-degree murder after a man was gunned down near the Bacchus clubhouse on Saturday night. Matthew Thomas Foley, 50, is accused of killing Michael Thomas Schimpf, 31. Foley made a brief appearance in Saint John provincial court on Monday. Extra police officers were on hand and sheriff's deputies were scanning spectators with metal detectors and searching through bags and purses. Foley, who has a grey mohawk and is covered in tattoos, did not enter a plea. He has been remanded in custody and will return to court on Aug. 15 to set a date for a preliminary inquiry. Several people were in court to see him, some of them dressed in Bacchus clothing and some of them in tears. Schimpf's body was found at the corner of Pitt and Leinster streets, in the city's south end, on Saturday, at about 8 p.m.
Saint John police are investigating a possible link between the murder and a motorcycle club suspected of being a front for the Hells Angels in Atlantic Canada. The police force has called in a Halifax expert on organized motorcycle gangs to assist with the investigation. Police said several rounds were fired from a handgun and that the victim and suspect knew each other. Organized crime investigators in Halifax were contacted as soon as the victim was identified and the connection to the clubhouse was made. While the Bacchus have long maintained they are simply a riding club with no connection to organized crime, police who investigate outlaw motorcycle clubs say this case proves otherwise. Over the past few years, the Bacchus have expanded across the Atlantic region, adding chapters in Nova Scotia, Prince Edward Island and Newfoundland and Labrador to its long-standing New Brunswick presence. Police say the expansion was to block a move by a Hells Angels rival club looking to establish a foothold on the east coast. 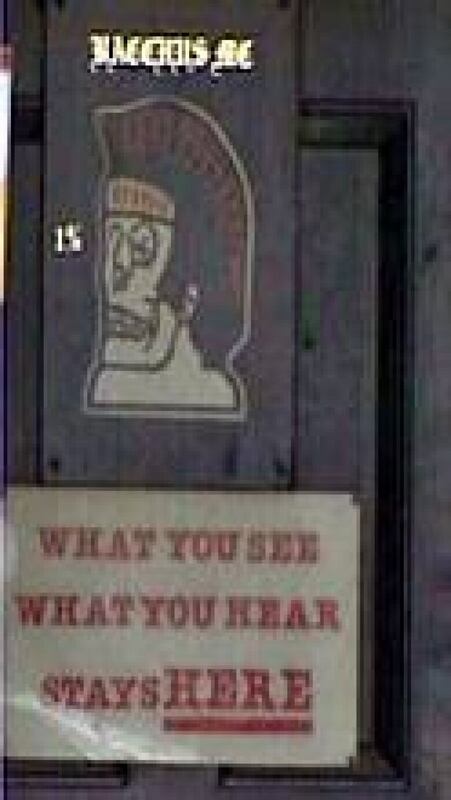 Criminal Intelligence Service Canada considers Bacchus an outlaw motorcycle gang. 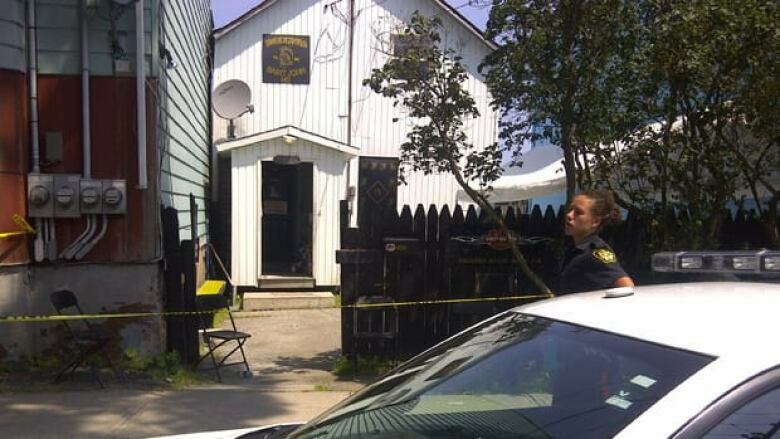 The Bacchus clubhouse on Pitt Street remained sealed off with yellow police caution tape on Monday as forensic investigators continued to scour the area for evidence and several people dressed in Bacchus clothing looked on. 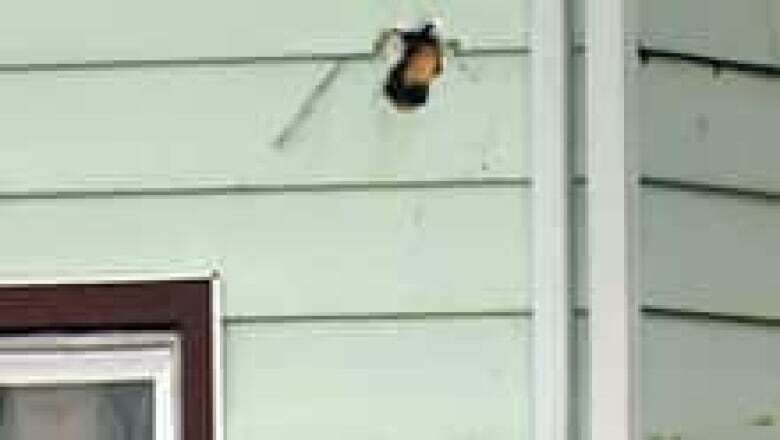 On Sunday, they used a hammer to tear siding from houses where some bullets struck. Area resident Donna MacKenzie said she was too scared to stay home alone when she heard someone had been shot and killed. "But then when I realized the cops are around here 24/7, they make me feel safe," she said. Schimpf's death is the city’s first confirmed homicide of the year. Police are still only calling the death of a female patient at the Saint John Regional Hospital in February a suspicious death. Serena Perry, 22, was under the care of the psychiatric unit. Her body was discovered in the hospital’s amphitheatre early on Feb. 15.